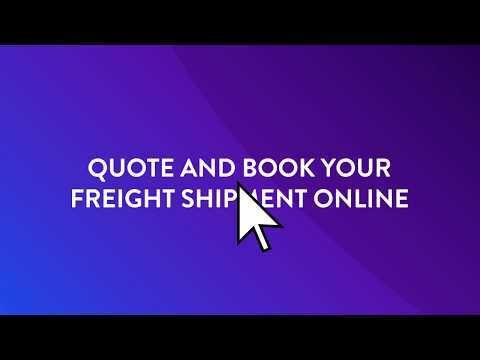 FreightCenter is an online shipping solution which allows users to obtain shipping rates and schedule pickups with qualified, well-known freight and shipping companies using an online quoting engine and booking API web services. Users can also track their shipments by simply entering their shipment ID or PRO number. I like that we can see the instant pricing, we have anywhere from 10-20 freight companies who provide live pricing to us though freightcenter API, who we in turn sell to potential customers. Sometimes a customer will have too much freight for us to provide an instant price. At the point we need to call the carriers directly to get a price. MoneyThe benefits of this software is the instant pricing model so the clients can get a price while on the phone with you. The benefits of this software is the instant pricing model so the clients can get a price while on the phone with you. Google pulls the addresses and it is not always accurate. It's a benefit to double check the city and state before submitting. I have worked for freight center for several months and find that the software used has worked well with live chat. Quotes are fast and there are a lot of options in most cases. They create a pdf packet with the bill of lading, receipt, labels, and instructions that you can give to the driver or sender. Sometimes the tracking information is not the best but that is more the fault of the trucking companies than the software. Users can set up a free account with FreightCenter. Search hundreds of shipping services and low-cost rates to gain the best quote. Stay up-to-date with shipment tracking technology and automatic notifications. FreightCenter gives users the flexibility to schedule and track their shipments 24/7 from their online account. Users can ship any item, anywhere through their online FreightCenter account. Users can receive deals on popular lanes and transportation routes within the US and Canada. Below are some frequently asked questions for FreightCenter. Q. What type of pricing plans does FreightCenter offer? Q. Who are the typical users of FreightCenter? Q. What languages does FreightCenter support? Q. Does FreightCenter support mobile devices? Q. Does FreightCenter offer an API? Yes, FreightCenter has an API available for use. Q. What other apps does FreightCenter integrate with? Q. What level of support does FreightCenter offer?